"By keeping indirect costs down while meeting increased demand, fixed costs were spread among more units," the Mint’s annual report said. "Compared to last year, FY 2016 average spot prices for nickel decreased 30.9 percent to $9,264.43 per tonne, average copper prices fell 19.6 percent to $4,766.68, and average zinc prices decreased 10.4 percent to $1,868.28," it added. Have you noticed how many of the newer Lincoln cents – with the shield on the back – are corroded? I’ve noticed quite a few of these appear in very poor condition, despite being only a few years old and showing little wear from circulation. Perhaps somebody needs to show our new President a handful of these poor-quality coin and point out that we are making these defective coins at a loss to the government. This problem would likely get fixed sooner rather than later, I’d wager. Why not just stop production of the money losers? Canada already said au revoir to the penny. Maybe there could be some national call-in of pennies and nickels that are stowed awayin piggy banks, closets and basements. I’d rather have fresh greenbacks, anyway! Agreed. The new penny looks horrible only a short time after mintage. Who wants to collect a poor quality coin? We can do much better here. Mike Unser, Do you have or can you get data on like the Canadian mint cost to produce its coins? It might be interesting to comparison their cost against the US cost. Also Mike do you have like data on what it cost to produce, distribute etc on Gold and other precious metals from West Point and the Acadian mint. Thank you for this interesting data set. Mammoth, you’re right if he can put his picture on the obverse (maybe groping Liberty on the reverse). Gilt plate them too and you’ll have something, just like the late night “commemorative opportunities”. But it is surprising that nickels still have their high copper composition. Every now and then somebody says to put away bank boxes of them because they will be withdrawn. I suppose someday it could happen. Personally I’ve been keeping the high copper composition Lincolns, being old enough to remember when silver disappeared. But the margin there is so narrow it’s barely worth it and anyway they are vanishing through normal attrition. When the price of base metals started spiking above face value for the cent & 5-cents coins in 2006, the Mint Director, Treasury Secretary & Congress got involved & made it illegal to melt any cents or nickels & even put a limit on how many you can take out of the USA! Therefore, we don’t really even legally totally “own” any circulating cents or nickels anymore to do with what we want (only in America! LOL). It is simply insane for Congress to continue to allow the production of any more cents. They cannot purchase anything, cannot be used in any vending machines & are found on the parking lots of stores all over as many people just throw them away! 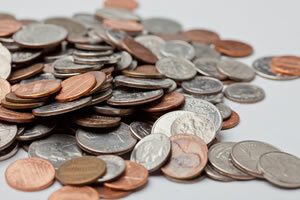 They should get rid of the penny, dime and quarter and just go to a nickel and 20 cent coin. The nickel should be made dime like to reduce the cost of it. This won’t win any votes from collectors but will help with the expense associated with the current way. We could do this, make a copper penny for the mint and proof sets and raise the price by $1 or $2 for the sets and that could off set the cost of the pennies. Nothing’s going to change so long as so many vested interests and naysayers want to keep the current system. We need to get Congress out of the picture so that decisions don’t depend on whoever shouts the loudest. Lots of other countries have changed sizes and denominations without ending civilization as we know it. The most common scheme is a simple, fully-decimal set in ratios of 1:2:5 with distinctive metals and sizes/shapes. There’s no reason we should continue to base coins’ sizes on their former silver content or issue a non-decimal 25¢ coin for compatibility with Spanish bits. Even Canada is looking at eliminating their 5¢ and 25¢ pieces and switching to denominations of 10¢, 20¢, and 50¢ along with the loonie and twonie. Greetings, I am currently researching the pros and cons of minting the one-cent coin in order to write up a persuasive speech about the issue for my public speaking and debate class. Where can I find the sources used in this article? I have already searched Google, but alas have come up blank. Not even the Us Mint website has been of any help. Thank you in advanced. Welcome to this forum. The Mint is, strangely, not always the best or easiest source of numismatic information. The largest numismatic publication (since 1960) is “Coin World” with a weekly newspaper, monthly magazine & daily online publication with subscribers in all 50 states & about 40 foreign countries. CW Editor William T. Gibbs has been there since 1976 & has an encyclopedic mind when it comes to numismatics. He can be reached by phone at 937-498-0853 M-F or by email at: cweditor@amosmedia.com at their Sidney, Ohio headquarters. As a professional, unbiased journalist, I am sure he will guide you to the best research sources for your project. Good luck Solomon! I’ve been carrying the four 2009 cents and one 2010 cent in my pocket as I go about my business for almost seven years now to see how they take wear since they’re unlikely to ever show natural wear from circulation (most cents I encounter dated later than 1964 show little to no wear). I’ve noticed the zinc cents don’t corrode provided they’re kept in constant circulation. If the zinc gets exposed on a little used cent, it will quickly corrode but constant circulation wear keeps the corrosion from taking hold. If the cent (and let’s face it, nickels, dimes, and quarters too) had actual purchasing power, they would circulate like intended and just accumulate wear rather than corrosion.